“Home-killed beef” is the best-killed beef. The Chas. 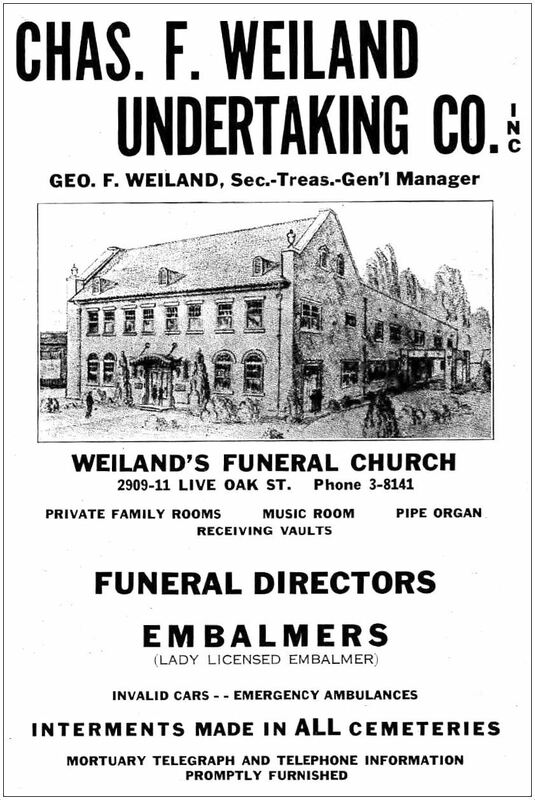 F. Weiland Undertaking Co. was one of the city’s top funeral homes. 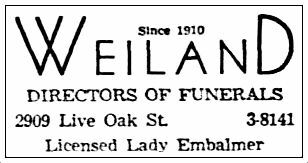 They really promoted the fact that they had a “licensed lady embalmer” — I suppose some people preferred to have their mothers and other dearly beloveds tended to by a woman. Beware the head cheese. …Always. I’m sure there is an interesting and most likely embarrassing story behind the implementation of this new police regulation. The sensation generated by seeing an ad with the words “oyster” and “ice cream” next to each other — cheek-by-jowl, as it were — is not a pleasant one. Who knew? 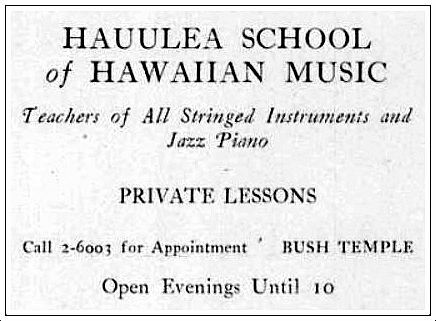 Ukulele-mania was alive and well in Big D in the ’20s. A little tidbit on the history of commercial fashion illustration in Dallas, from a Sanger’s ad celebrating the company’s Centennial. Another Sanger’s ad. This one with a, let’s say “more populist” example of the store’s fashion-illustration chops. Okay, I’m a sucker. I love cats, and I love self-proclaimed “high-priced photographers.” Ergo, I must love this ad. I do. 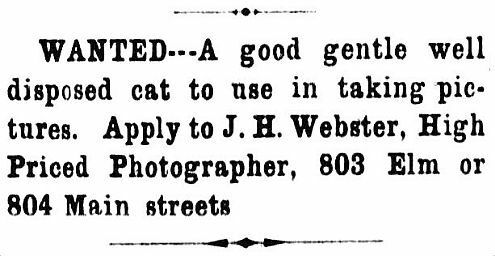 Seems like a good time to share a couple of 19th-century photographs of cats. Dallas Herald clippings are from the Texas Digital Newspaper collection provided by UNT to the Portal to Texas History; you can peruse many scanned issues of The Dallas Herald (not to be confused with the later Dallas Times Herald) here. 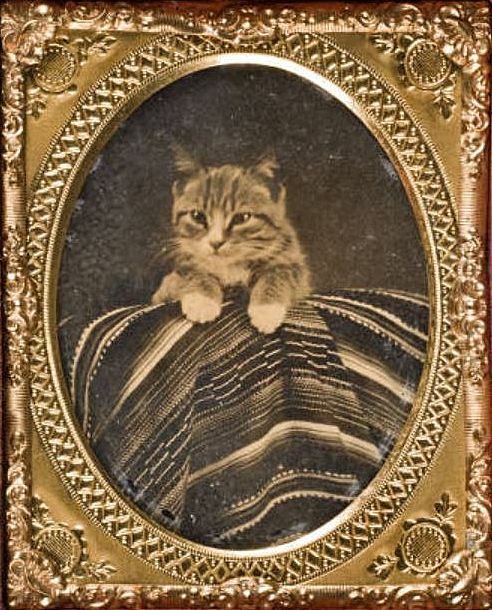 “Cat Posed with Mexican Serape” is a cased ambrotype from the Lawrence T. Jones III Texas Photographs collection, DeGolyer Library, Central University Libraries, Southern Methodist University; more details on this photo can be found here. The article “Everyone Loves the Cat!” can be read on the SMU CUL blog “Off the Shelf,” here. 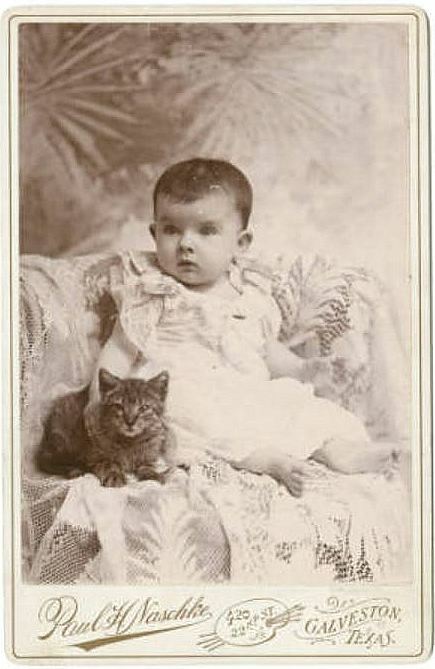 “Baby Seated with Cat” is also from the Lawrence T. Jones III Texas Photographs collection, DeGolyer Library, SMU; more info on the photo is here. Want more? See other “Orphaned Factoid” lists here. Most images are larger when clicked. Click away! Really cool stuff. In Dallas it is so easy to forget that there is history. “Scared mouse” – I want to paint my bathroom that color. 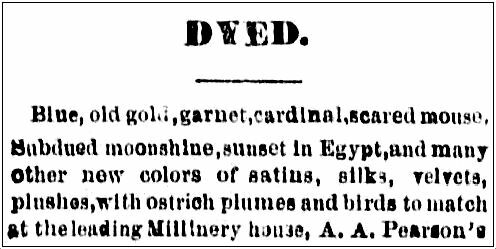 I used to work for Sherwin Williams and knew some of the folks that thought up color names – pretty weird job. 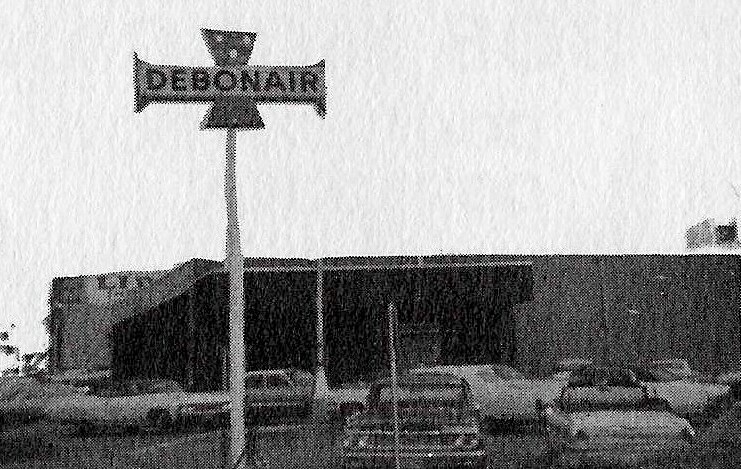 I remember Debonair Danceland -though I don’t remember where it was and never went in. I’m with you on the ad for the Oyster and Ice Cream parlor. Eewww Gross! Thank you for another great year of pictures and info! Have a Happy New year! Thank you, Rita — you, too! if you ever come across something about louann’s ( spelling?) i would love to see it. 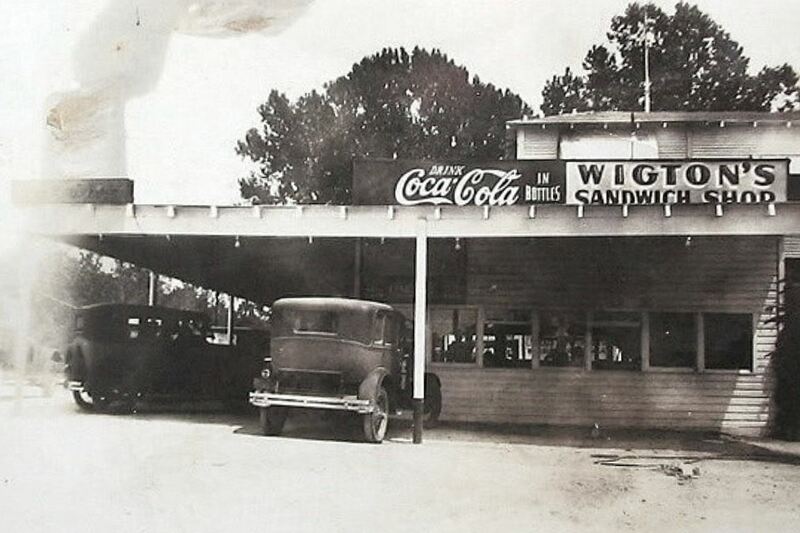 i only got to visit the club once, it folded by the time i was really old enough to visit. I’ve been meaning to write about Louanns, but it’s kind of daunting to write about someplace that so many people have such fond memories of. You do us proud, with all your diligence and enthusiasm! Thanks!